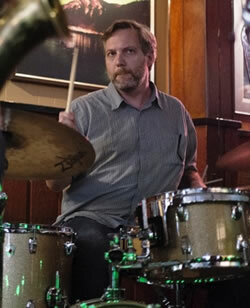 Seattle drummer, Steve Korn, is a musician's drummer. 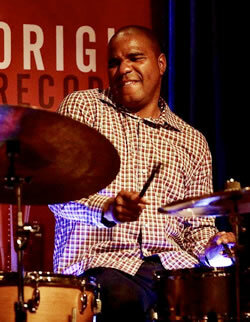 Always making the musical content and quality his first priority, Steve's versatile drumming and overall musicianship has made him an integral part of the Seattle jazz scene. Audiences across the United States, Europe and Russia have heralded his work, hearing him on several recent tours and recordings. Steve has three recordings on Origin Records, and they have received rave reviews and airplay nationally and Earshot Magazine nominations for Best Northwest Jazz recordings. Steve won the Earshot Golden Ear Award for Northwest Emerging Artist for the year 2000. 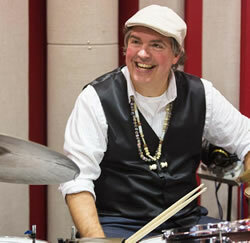 Jeff Busch is an exuberant drummer/percussionist, vocalist, and composer whose passion for soulful music of varied traditions has led him to perform with jazz, blues, and gospel groups--as well as calypso, samba, and Cuban jazz ensembles.